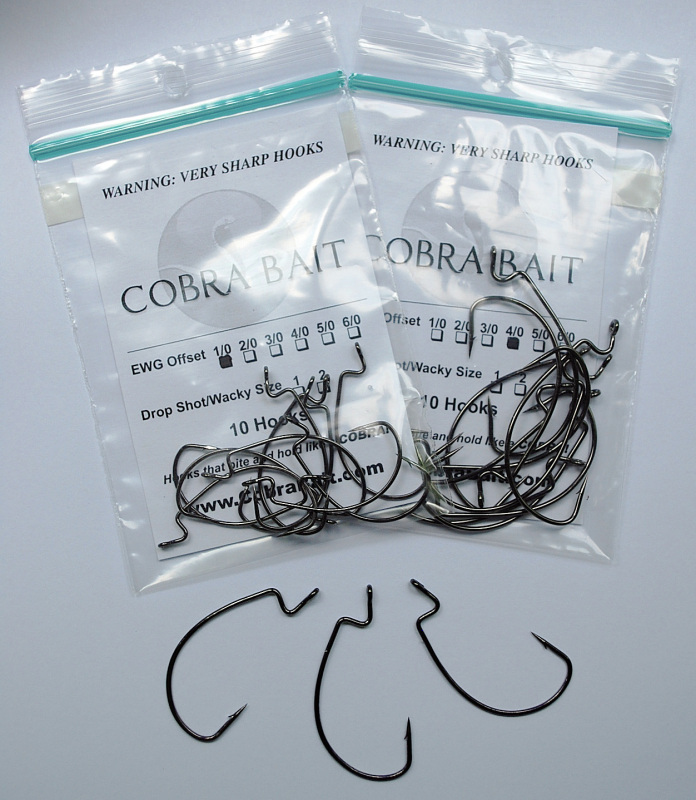 Cobra Bait Drop Shot/Wacky rig hooks are perfect with Dead Bolts or 4" Paddle Tail Worms. 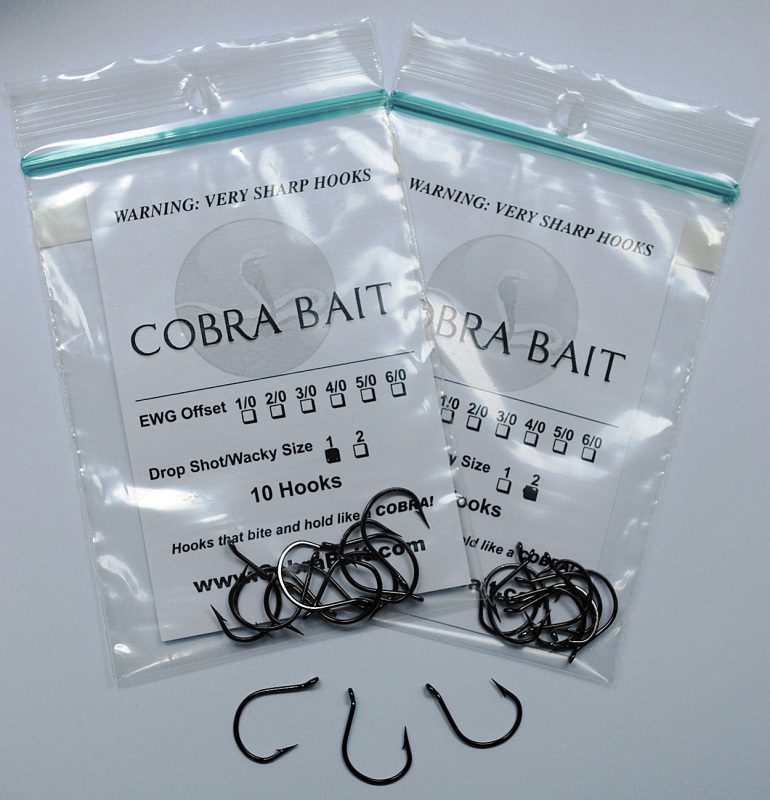 10 per pack and VERY sharp! Cobra Bait EWG Offset hooks are VERY sharp and dependable. 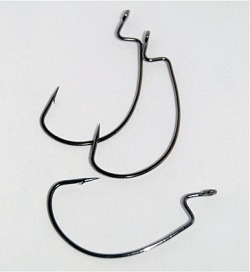 Compare to any "big name" hooks, and you can't beat the price!